(Fox News) – The Pope hit out at the ‘abuse’ of the crucifix by people who wear them as fashion accessories. 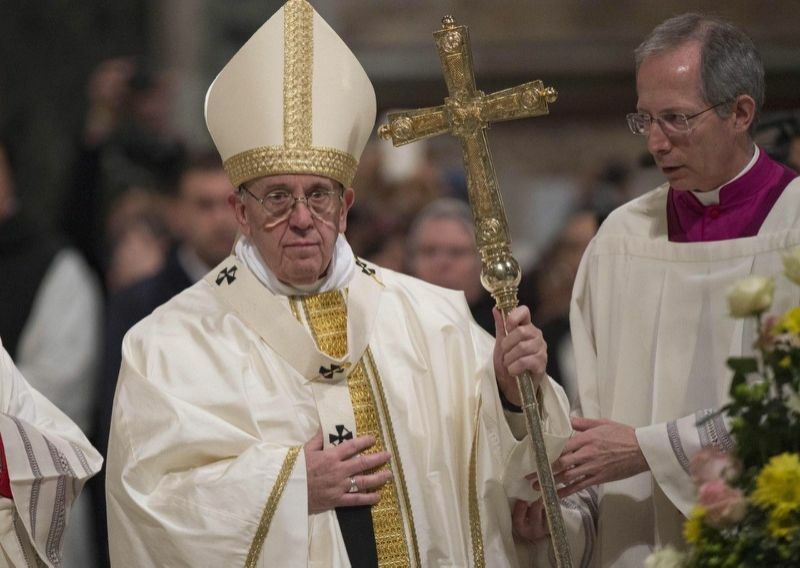 In a speech at St Peter’s Square in the Vatican, Pope Francis said that the crucifix is a religious sign to be ‘contemplated and understood’, rather than merchandised. He said that the crucifix is a sacred sign not to be “abused” by being treated as an ornament or clothing accessory. Delivering his speech after a Sunday Angelus service, the Pope stressed the meaning religious meaning of the cross. He said: “How do I look at the crucifix? Like a work of art, to see if it’s beautiful or not beautiful? Or do I look inside, within the wounds of Jesus up to his heart? I look at the mystery of God annihilated to death, like a slave, like a criminal. This from a man who walks around his castle carrying a crucifix atop his sorcerer’s staff.